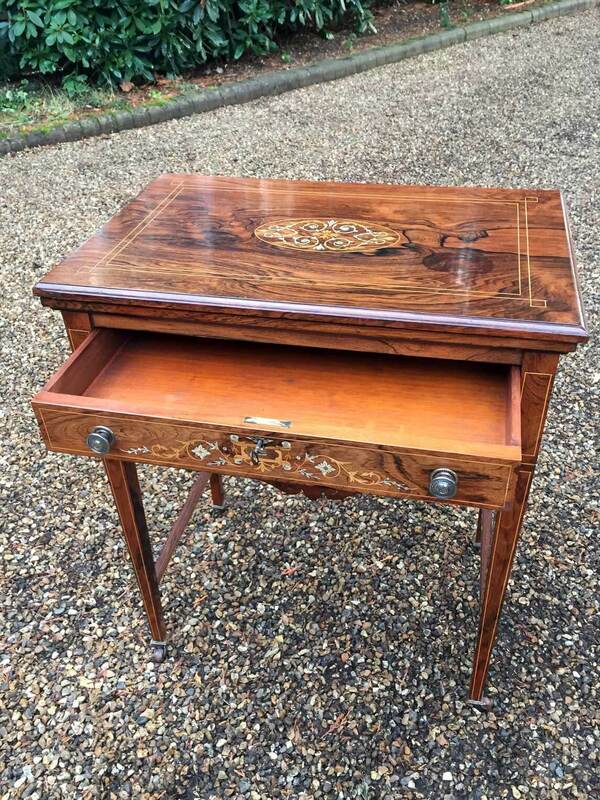 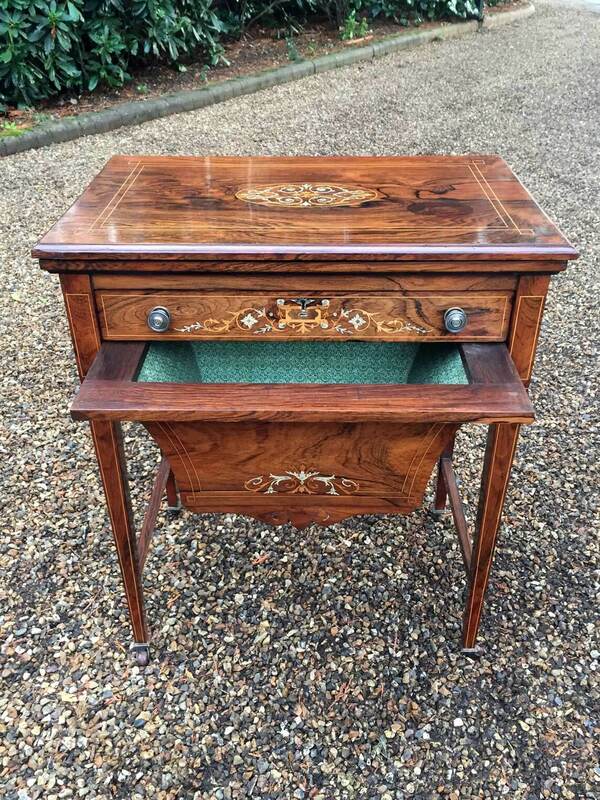 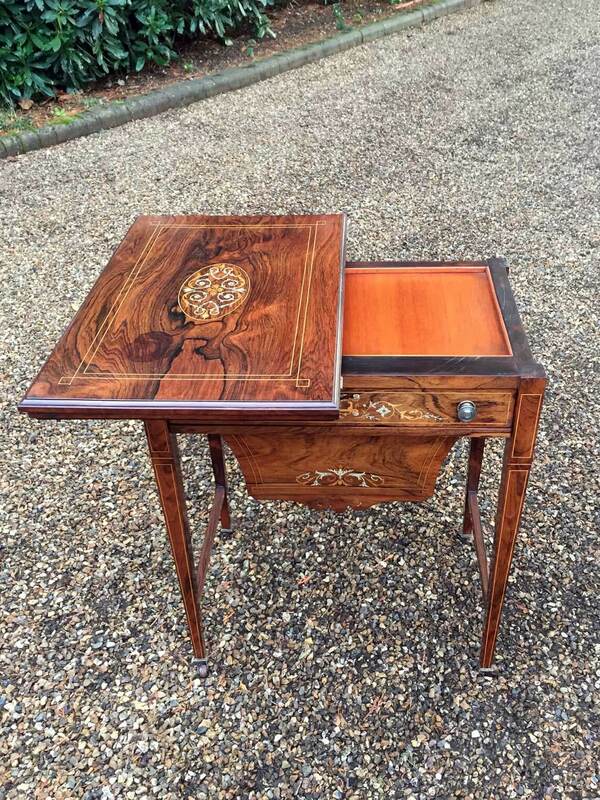 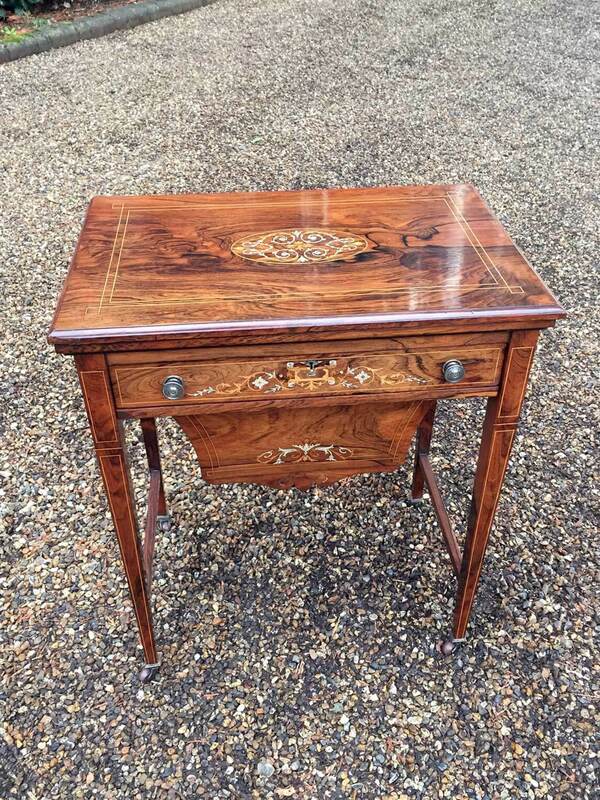 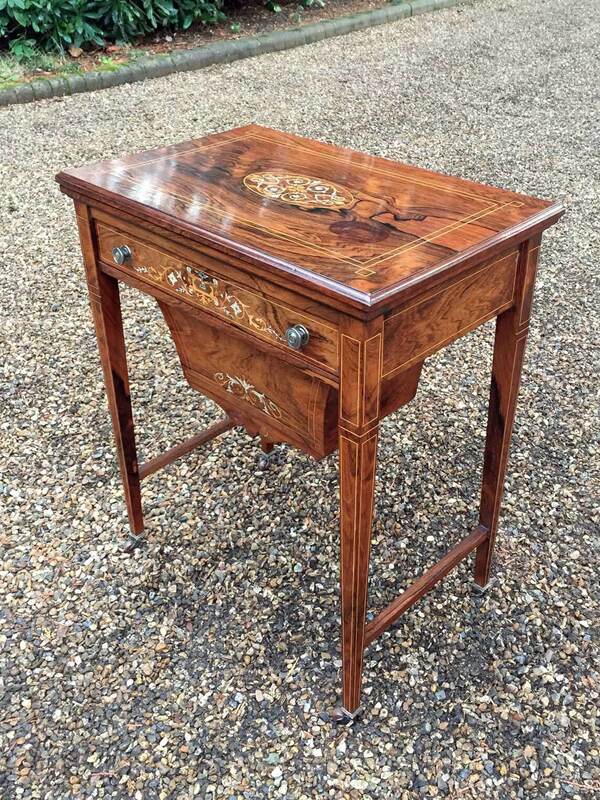 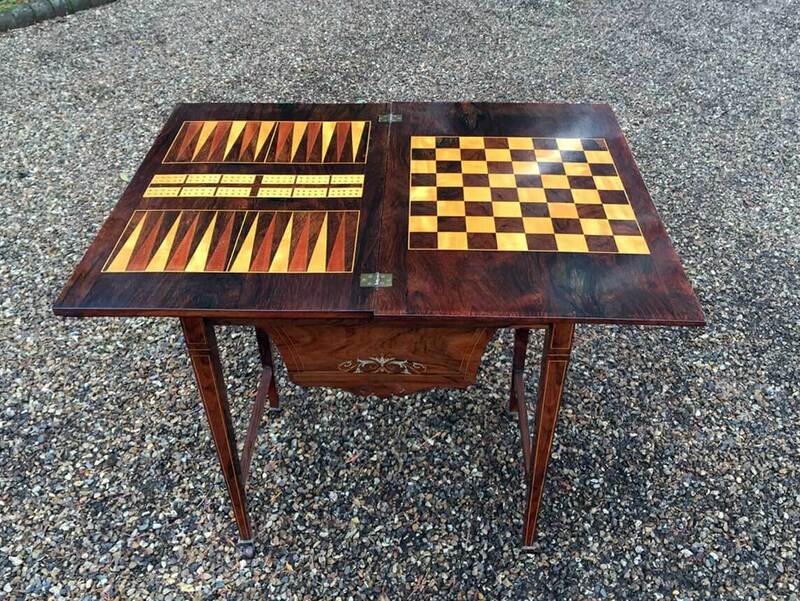 Victorian Rosewood Work / Games Table. 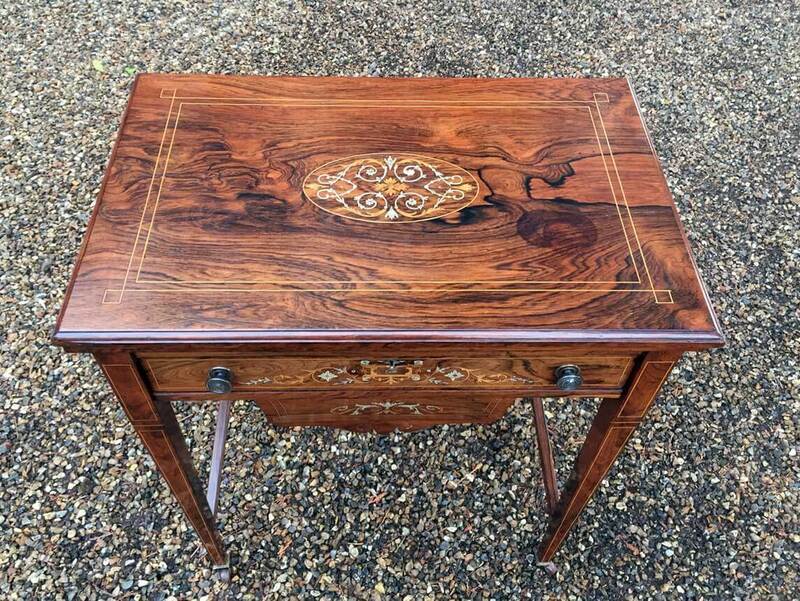 Opening up the top reveals a inlaid chess/draughts board, a boxwood, ebony and tulipwood backgammon board and a cribbage board. 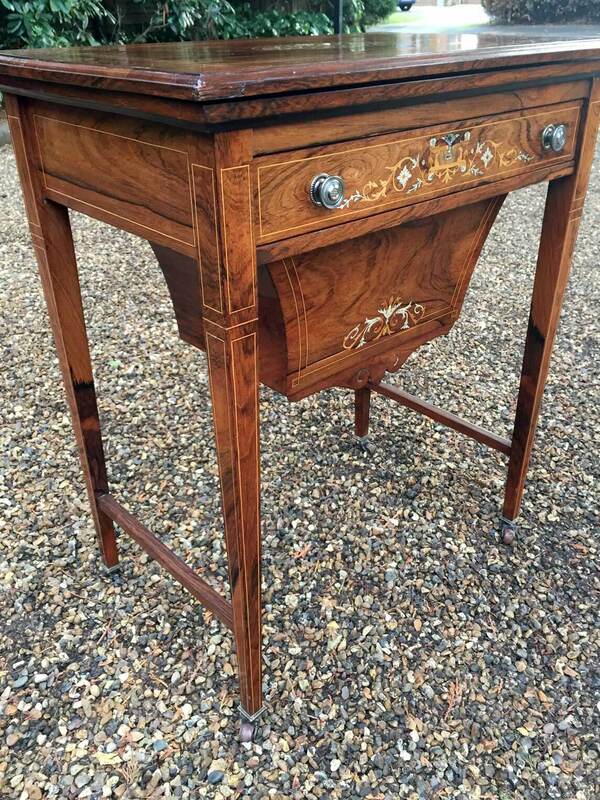 Beneath the top is a single drawer and a workbox. 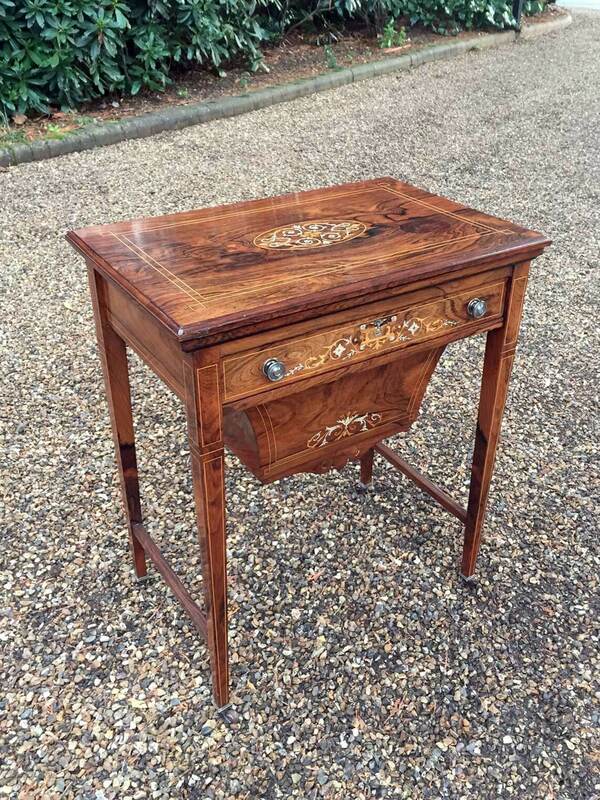 The table has elegant inlaid supports on castors.